Una vez más como en años anteriores esperamos que el partido de las luminarias este repleto de jugadores latinoamericanos en Cincinnati y solamente tiene hasta el 2 de Julio para seleccionar a sus peloteros predilectos. Esta campaña el Clásico de Verano en su edición número 86 tomará escena el próximo 14 de Julio en el Great American Ball Park, hogar de los Rojos. Este año cada conjunto tendrá un roster de 34 jugadores y a nuestro entender hay sin número de jugadores latinoamericanos que merecen estar presentes. Spring training 2011 is finally underway with all teams with their full squads. This is the time of the baseball calendar that every franchise will tell you no matter in Arizona or Florida that they have the best team and they are full of optimism for the new season. This is the time of the year that every General Manager and skippers among news and cliches will address the media of their perspective of who will be their man for the season. Tampa Bay Rays’ Manager Joe Maddon said back in 2008 that you need nine players, playing smart and and hard every nine innings to make a team a championship one. Maddon formula worked that year taking his team all the way to the World Series. Just ask nowadays to Maddon who he is counting for in 2011 and faster than you can imagine his two names are Evan Longoria and David Price. Reality is that every team needs a so called “key player”. The one some teams calls a franchise player or simply the one everyone is looking to step up. Probably there will be some arguments, nonetheless this is my Latino key player for each team in 2011. Ozzie Guillen next rant should be against the National Football League. The Chicago White Sox fiery manager should speak not only for Latinos but in defense of all baseball. A sort of spokesman for MLB. For first time in history the NFL is about to rank its 100 best players. The NFL, through their broadcasting arm NFL Films, will feature a 10-show series The Top 100: The NFL’s Greatest Players, debuting September 3 on its own NFL Network. It sounds incredible that nowadays that rankings are common in every sport, football is so behind. Guillen can be the mouthpiece of MLB. He can tell them that baseball has done previous rankings such as in 1999 the Major League Baseball All-Century Team or The Major League Baseball Latino Legends Team selected in 2005 to honor the history of Latin American players in the majors. By the way, the night the Latino Legends Team was announced prior at a ceremony to Game Four of the 2005 World Series later that night Guillén became the first Latin-born manager to win a World Series. Instead of so much spout and rave, Guillen should be kind of instructor or coach for all those fans he says still does not know much about Latinos in Major League Baseball. No more excuses there is still racism in baseball. It is hard to believe that people still these days do not know about such modern day stars such as Miguel Cabrera, Albert Pujols, Ubaldo Jimenez, Mariano Rivera, Ivan “Pudge” Rodriguez and many, many others. This should be an easier task to Guillen than try to explain why New York Jets quarterback Mark Sanchez is consider the top Latino player in the NFL. To put my two cents in I will give Guillen my list of the Top 100: MLB’s Top Latino Players in history. I bet he will have its own opinion but this should be a start. Let an Asian spokesman speak for Ichiro, Hideki Matsui and many others. 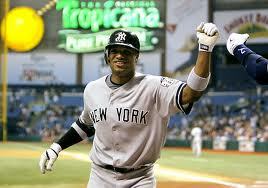 Ozzie could still be Ozzie and do good for all baseball. By the way, my Top 100: MLB’s Top Latino Players. 2011 All-Star Game in Arizona: Let it Be ! In 1997 Major League Baseball in conjunction with then the Classic Sports Network, today ESPN Classic, choose what was called the Major League Baseball All-Time Team. The so-called all-time team was announced as part of the events around the 1997 All-Star Game at Jacobs Field in Cleveland, Ohio, the home of the Cleveland Indians of the American League. Among names of the team selection were Johnny Bench, Lou Gehrig, Roger Hornsby, Mike Schmidt, Ted Williams, Willie Mays, Babe Ruth, and many more of the greats of the game. However, not even one Latino. Beyond belief in an all-star game that every run scored and RBI made in the game was by a Latino player. Home runs were hit by Edgar Martinez and Sandy Alomar Jr. and the only run of the National League was a homer by then-Atlanta Brave Javy Lopez. 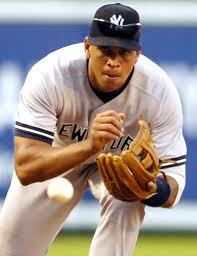 The game was won by then-Royal Jose Rosado and saved by Yankee Mariano Rivera. Many columns have been written about the new Arizona immigration law and all the sparks of a 2011 All-Star boycott. Players such as Yovani Gallardo and Joakim Soria said in Anaheim they are firm in their beliefs. Even if they are fortunate enough to make the All-Star team again next summer, they will skip it. I’m not into politics, but the truth is that Major League Baseball should do more to recognize the Latino influence in the majors. Let the game be in Arizona. Here goes my penny-pinching idea to Major League Baseball and one of today’s TV networks. In Phoenix, announce the first ever Latino Major League All-Star Team around the 2011 All-Star Game festivities. It is just a simple celebration of the best Latinos in the history of All-Star games. Probably a balmy idea; however, it is one way to be in unity and harmony with the Latino community and to not repeat blunders of the past. Nobody should forget back in 1999 when many Latino fans were unhappy that no Latino players had been elected in the Major League All-Century Team. Furthermore, another good chance in timing that Roberto Clemente’s No. 21 could be retired from Major League Baseball. No one knows what will happen next; however, it will be a goodwill act from the host Diamondbacks to demonstrate that Arizona truly believes in multiculturalism and are against possible racial profiling in their own backyard. The Phoenix Suns, back in May, wore their “Los Suns” jerseys to honor its Latino community. Diamondbacks should start with few given days this season wearing a “Los Cascabeles” shirt as a good start. The 2011 All-Star Game in Arizona should be the showcase to stand up and voice what should be right. La acción beisbolera está en todo su apogeo y muchos fanaticos ya quieren saber la escala salarial de esta temporada 2010 de las Grandes Ligas. Según un reporte publicado por el diario USA TODAY diez de los mejores 25 jugadores mejores pagos esta campaña son de sangre latina. Es una realidad que la económia de los Estados Unidos sigue por el piso y el béisbol organizado no esta siendo una excepción a ser una de sus victimas. Por primera vez desde 1988 el salario promedio de los peloteros bajó un 17 porciento y más de la mitad de las 30 franquicias que componen las ligas mayores bajaron sus nominas grandemente para esta recien comenzada temporada 2010. Una vez más los dueños de equipos vieron desde la primavera como muchos de sus auspiciadores cancelaron y retiraron us anuncios para esta campaña por asuntos financieros. Más el bolsillo de Juan Fanatico está tan afectado que muy seguramente volverá a bajar las asistencias en los estadios. Muchas franquicias registraron bajas en sus asistencias para su dia inaugural por segundo año consecutivo. No importando como está la economia me dí a la tarea por cuarta campaña consecutiva a ser el dueño de mi propia franquicia y como soy el jefe de mi propio equipo esta compuesto solo por jugadores latinoamericanos. La encomienda no fue nada de facil porque al igual que la temporada pasada tomé la decisión de utilizar el promedio salarial de muchas de las actuales novelas de las mayores. Este año aumente la nomina de $75 a $80 millones. La asignación como gerente general es hacer un conjunto competitivo y a la vez con pocos millones uno de Serie Mundial. Dicen los que saben que la clave de triunfo en las Grandes Ligas esta en el pitcheo y mi cuadro de iniciadores entiendo es de lo mejor. Mis cinco iniciadores para esta campaña 2010 son Felix Hernández, Javier Vazquez, Ubaldo Jimenez, Johnny Cueto y Jonathan Sánchez. Todos probados y de gran calidad. Mis relevistas lo son Alfredo Aceves, Neftali Feliz, Javier López, Franklin Morales, Fernando Nieve y José Veras. El cerrador de mi novena lo es Joakim Soria. Entiendo que en este ultimo grupo hay un balance perfecto de serpentineros de ambas manos y Soria es un cerrador Todo Estrella probado en las Mayores. El costo total de los 12 serpentineros utilizando la tabla salarial de esta temporada 2010 es de alrededor de $28 millones. Para la bateria de los lanzadores, mi receptor regular lo será el Guante de Oro de la Liga Nacional Yadier Molina y de segundo receptor el Novato del Año del 2008 Geovany Soto. Ambos sus salarios actuales no llegan juntos a $5 millones. Con el ahorro logrado, en mi cuadro interior reclute a varios de lo major de lo mejor del presente en las Grandes Ligas. El inicialista Kendry Morales y el campocorto Hanley Ramírez. Jugando de bateria con Ramírez seleccioné como su segunda base a Robinson Canó. Para balancear el presupuesto el antesalista de la novena lo es Pablo Sandoval. Como reserva del cuadro interior seleccioné a Yunel Escobar y Alberto Callaspo que son jugadores versatiles y pueden jugar cualquier posicion. En los bosques, mi cuadro regular lo es en el derecho Angel Págan, en el central Franklin Gutierrez y en el izquierdo Carlos Lee. Los dos jardineros reservas lo son Nelson Cruz y Carlos González. En el cuadro interior siguiendo los salarios a devengar este año la inversión es de alrededor de $20 millones. En este grupo los de mayor salario son Ramirez y Cano que entre ambos devengan casi $16 millones. Entre estos cinco jardineros hay una inversión de alrededor de $24 millones. El conjunto tiene buenos guantes defensivos y el bateo tiene promedio y poder. Y un muy buen banco. Sin duda un conjunto como este estoy seguro le daria batalla a cualquiera no importa si en la Liga Americana o en el circuito nacional. Soñar no cuesta nada y sí bien saca cuenta por un poco menos de $80 millones entiendo este es el mejor equipo latinoamericano que buen dinero puede comprar y tiene todo el potencial de llegar hasta un Clásico de Octubre. Estoy seguro que algún día será un equipo latino una realidad.